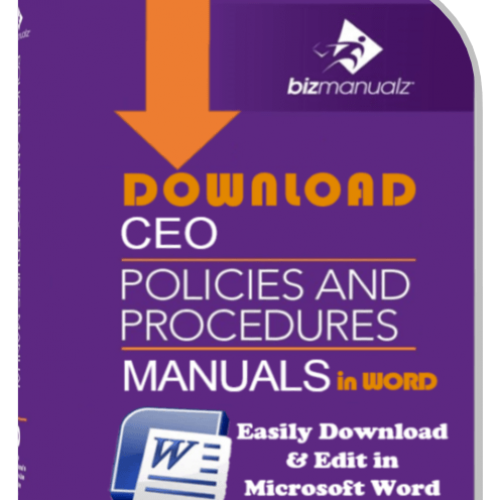 We have talked about the Top 10 Reasons to Use Bizmanualz Policies and Procedures Manuals. Now, let’s talk about the reasons to use Microsoft Word Templates for Policies and Procedures. What’s the difference? 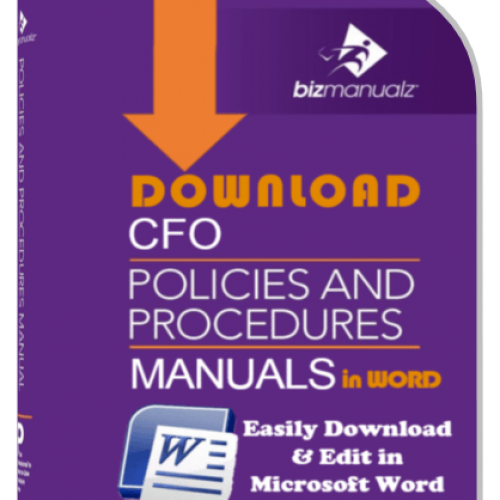 A Policies and Procedures Manual is made up of about 40 procedure templates. 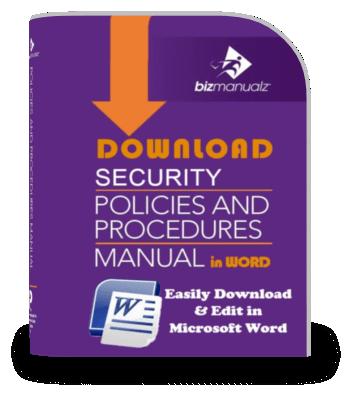 Bizmanualz templates utilize features that others do not provide such as references to regulations, an ISO 9001 conforming format, or a PDCA structure. 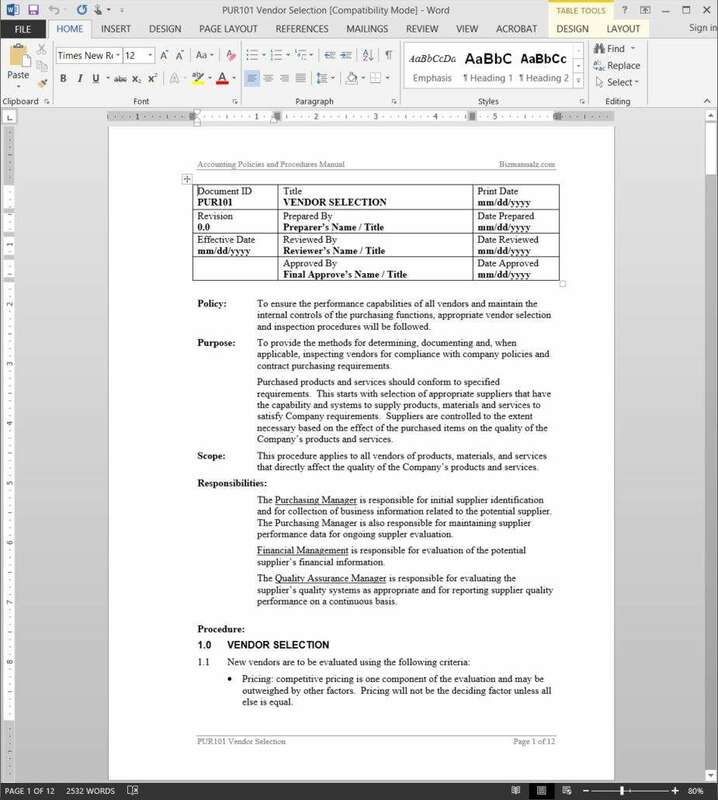 An ISO 9001 conforming layout for easier readability. 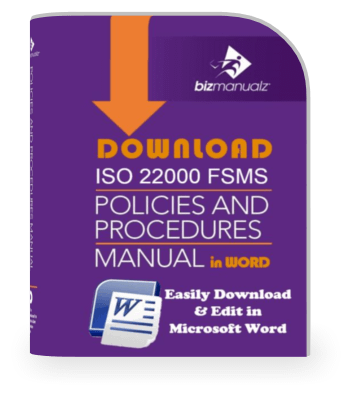 ISO does not require a procedure format but it does specify the procedures are approved prior to use, that changes and the current revision status are identified, that procedure are identifiable, and that suitable identification is used. Bizmanualz policies and procedures provide for control, identification, and revision in every procedure template in order to conform to ISO 9001. A clear and concise header block to ensure a procedure communicates the purpose and scope. 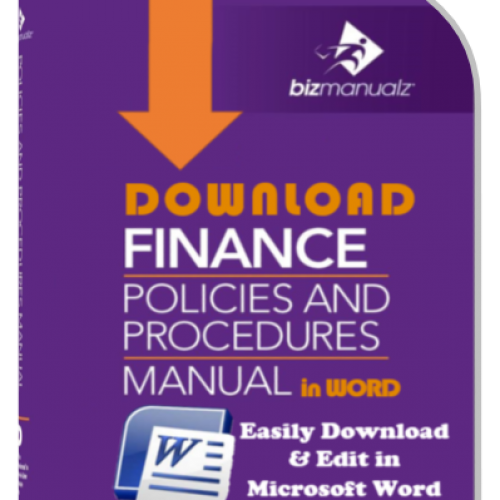 Bizmanualz procedures include a header block with a Title, Policy, Purpose, Scope, Responsibility, and Definitions to help people understand your procedure. 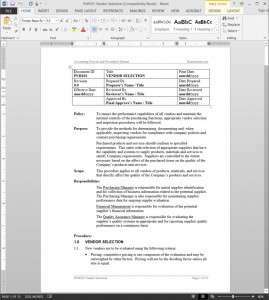 Clear department responsibilities that identify who does what. Every procedure includes a Responsibility section in the procedure header that defines which positions are mentioned in the procedure and provides a synopsis of what is expected for that position in this procedure. 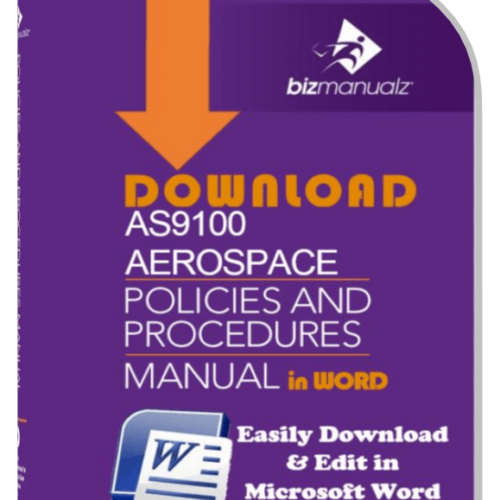 If Industry jargon is used in a procedure than it is explained in the definitions section of the procedure to help new procedure users. Plan, Do, Check, Act (PDCA) procedure structure. A PDCA structure is used to provide a logical flow that describe the key elements of a process that include the planning steps, what the exact “do” activities are, how you should check the results of your “do” activities to ensure the user is achieving the plan, and the “act” step of what or how to change. Active voice construction to reduce task confusion. References to related documents to improve usability. 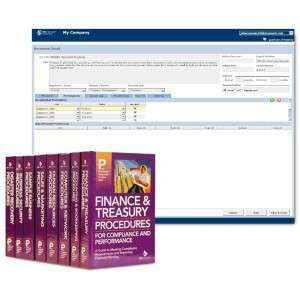 Procedures reference other procedures or forms, which saves you time in looking up those references and helps you train and implement your procedures. Listing of applicable laws or regulations to communicate compliance. If you are implementing a records retention procedure then references to IRS or equal employment opportunity (EEO) passages provide a brief synopsis and help you implement your procedures. Detailed list of revisions to track edit history. Revision blocks are provided to allow for comments and change dates. Forms to ensure proper control and record keeping. Just about every procedure includes one or more forms to capture vital records needed for compliance, quality, or accountability. 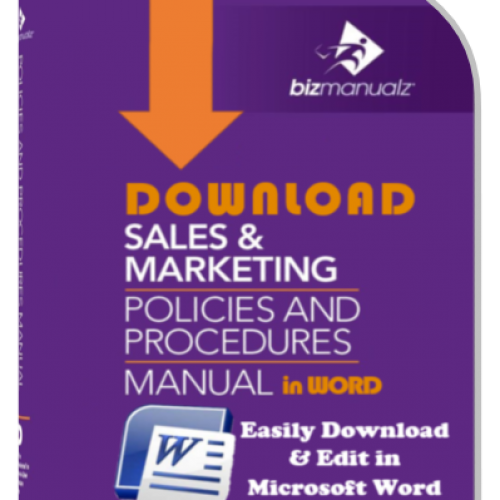 All forms are provided in MS-Word format for easy editing. 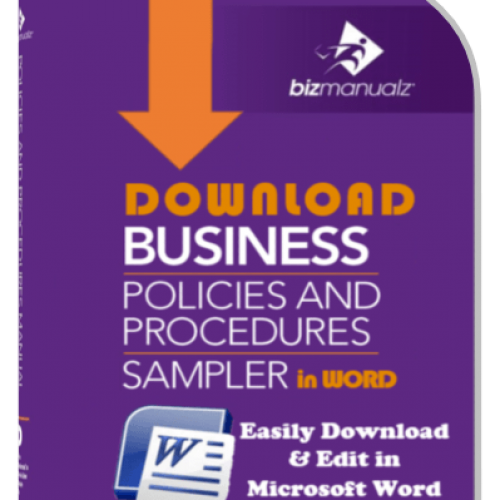 Bizmanualz Microsoft Word Templates for Policies and Procedures are going to help save you a lot of time getting the basics down (research before action). It’s packed with good ideas on how to organize your management of a wide range of business processes. 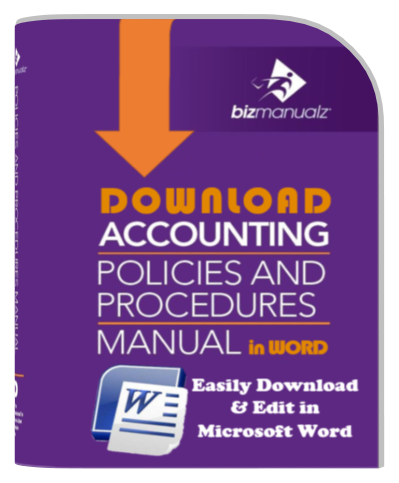 Documented sample policies and procedures will save valuable time for any department with limited resources. 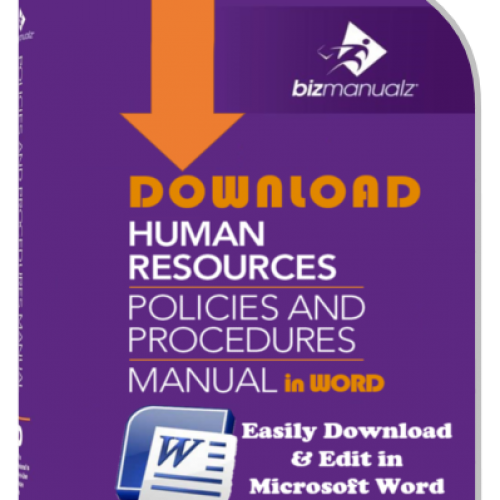 Bizmanualz Policies and Procedures provide the completeness, time saving and an easy to follow and understand way to get your policies and procedures project done fast.